Specified Technologies Inc. (STI) is an industry leader in developing innovative fire protection systems that help stop the spread of fire, smoke and toxic fumes. For over 30 years, STI's team has worked hand in hand with the construction industry to create simple solutions to complex firestopping problems. The SpecSeal® and EZ-Path® product lines are engineered to deliver powerful performance. Because the system designs are user-driven, they are easier to apply. The result is simply designed, outstanding fire protection systems which often result in lower installed costs. STI products and systems offer innovative firestop solutions for all types of new construction and retrofit applications. Since firestopping is the only business, STI concentrates all its resources on providing the highest quality, fully tested, innovative firestopping solutions. 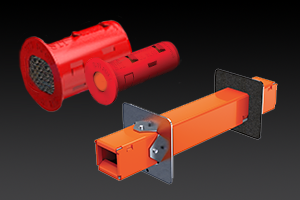 Designed for single or multiple smaller cable penetrations. A wide variety of accessories easily adapt 33 Series Pathways to a broad range of applications. See installation options below for configurations. 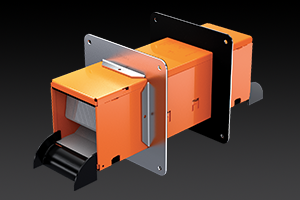 Additional accessories easily adapt 44+ Series Pathways to a broad range of applications. See installation options below for configurations. 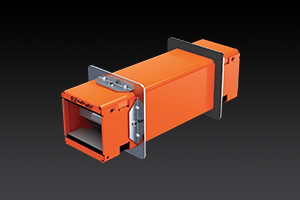 EZ-Path Sleeves required for each barrier penetration. Access Calculator Here.